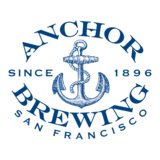 This is our special ale from the brewers at Anchor. It is sold only from early November to mid-January. The Ale’s recipe is different every year, but the intent with which we offer it remains the same: joy and celebration of the newness of life. Since ancient times, trees have symbolized the winter solstice when the earth, with its seasons appears born anew. Editor’s Note: due to the significant similarity in style and strength from year to year (despite potential differences in the exact spice blend), this beer is no longer separated by vintage.